Top Rated Test Prep Tutors in New York City! Welcome to New York’s top-rated private test prep in-home tutoring service! All of the following New York test prep tutors are certified by Varsity Tutors, the leading tutoring agency in the country! 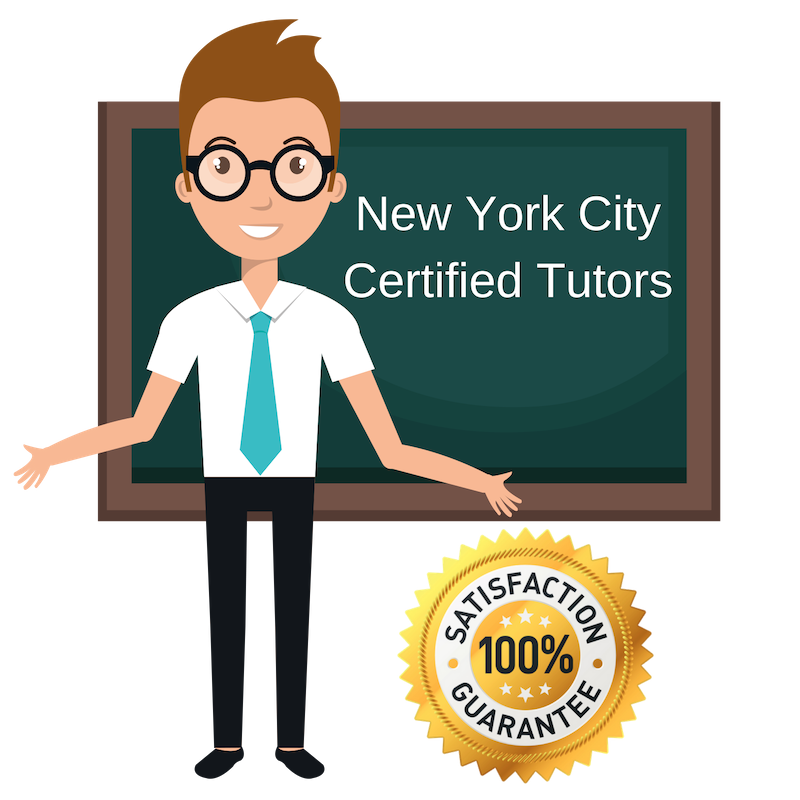 All New York test prep tutors have been background checked, been interviewed, had mock trigonometry tutoring sessions, and been trained by professionals. We guarantee you will love your local New York test prep tutor or your money back! Get information regarding a top-rated test prep tutor today! My love for teaching comes from the incredible and inspirational teachers that I had growing up. I have loved teaching all age groups, from children ages 3-18. While I undoubtedly have a love for the classroom, some of the most rewarding teaching moments have come from tutoring. I believe in creative learning methods balanced with conventional strategies for learning. Sessions are often student-centered, in the sense that the student shapes his or her learning based on their interests. I hold my students as well as myself to a high standard. I provide feedback for my students, and welcome feedback from students and parents as well. I am always interested in how I can better myself in the area of tutoring, so I encourage open and honest feedback. I understand that life often gets in the way of commitments. Because of this, I am flexible when it comes to rescheduling sessions and cancelations. I only ask that parents/students do their best to give me as much warning as possible before rescheduling or canceling a session. I also offer make-up sessions. I have reliable transportation and travel to students’ homes for tutoring sessions. I look forward to hearing from you and hope to work with you soon! It is my firm belief that teachers have the unique opportunity to impact their students lives forever. Personally, my own experience having incredible teachers as a child drove me to become an educator myself. Today I live and work in New York City, NY and, in addition to teaching, I work as a private tutor. I find tutoring students one-on-one an incredibly rewarding experience and also a sure way to become a more well-rounded teacher as you gain familiarity with different types of students and their learning styles. As a tutor, I am available to work on multiple subjects and on standardized test prep. I work as a home tutor and am able to travel to students’ homes for sessions. I am willing and eager to work with all ages of students from all backgrounds. I am an experienced tutor based in New York City, NY with several years of experience and a wide range of subject competencies. For my bachelor’s degree, I studied philosophy with minors in literature and history. In addition to subject-based tutoring, I have tutored English as a second language and worked in standardized test prep. I am passionate about promoting self-awareness and a questioning state of mind in my students, such that they do not simply take information as it is given to them but explore it, question it, and therefore understand it intimately. I am currently available as a private tutor for test prep and am willing to accept all types of student. At the moment, I am pursuing business studies at New York University in New York City, NY. In addition to my studies, I am working as a personal tutor for test prep in standardized testing, including the ACT and SATII Math tests. Since I just recently completed these sort of tests myself, I can mentor students approaching these examinations with empathy and from experience. Furthermore, my professional and academic experience in the field of marketing equips me with strong interpersonal and communication skills, which make me an effective and organized tutor. I look forward to helping students achieve their test goals for college acceptance. I am a language teacher and tutor living and working in New York City, NY. Having studied music at the Taipei National University of the Arts, I first began teaching Mandarin music. Following many years of teaching music, I spent the previous eight years teaching Mandarin here in New York. I have experience teaching at all ages, and have taught all ages from young children to adults. I am very passionate about teaching and believe that any struggling student simply needs an interested teacher. Presently, I am available as a private tutor for test prep in the New York City area. As a graduate of film and religion studies and a professional researcher and subject matter specialist for documentaries, I spend my free time tutoring in New York City, NY. I am currently available as a tutor for test prep and a variety of specific subjects. My experience studying at universities in two different countries has provided me with a wide range of study strategies and learning techniques, as the educational system in either country has different approaches to mastering sets of material. As such, I find myself uniquely equipped to assist different types of students in growing comfortable with challenging concepts and identifying the study techniques which best suit their needs and manner of thinking.